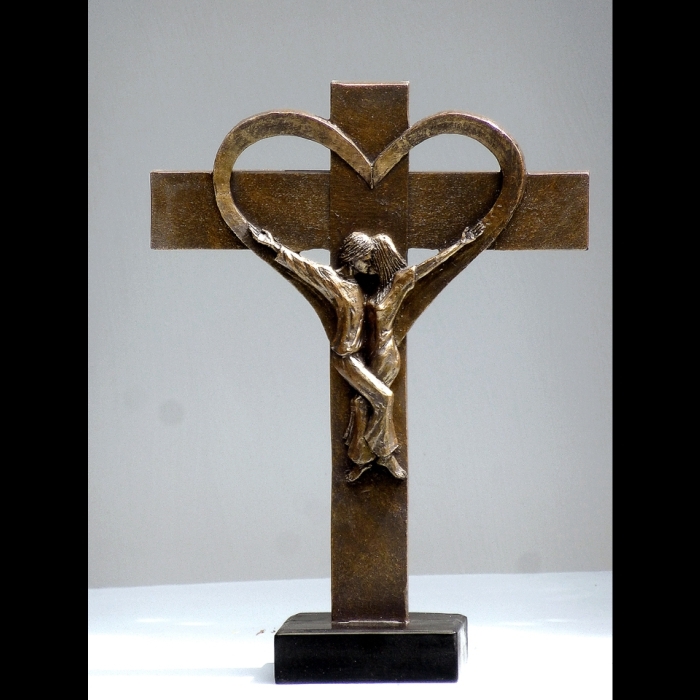 Theology of the Body of Christ by Timothy Schmalz is an outstanding piece of Christian sculpture that would make an outstanding addition to any church or home décor setting. This unique piece of home décor is made of resin stone with a bronze finish. Mr. Schmalz' small statues are miniature versions of his large masterpieces. These small religious figurines are works of fine art and make the perfect fine Christian Gifts. In a world flooded with generic figurines, Mr. Schmalz' small masterpieces will connect you on a spiritual level and make unique Christian gifts. Two size options available - see drop down box for pricing.